The question is how Big is the dimensions / boundary of the Earth? What do you do when someone or family member passes away? What STEPS do you take or follow? Do you know the COST of funeral in U.K? Do you know the procedures (Post Mortem etc)? Marriage and Divorce in Islam by Mufti Sharif Sayd. Current Global Ummah Crisis - How you can Help? Do you ever wonder how your DEEDs accumulates? Blessings of the Month Ramadhan (10 articles). What is Magic (Sehr) and Soothsaying? A Party in Hell, A Party in Paradise. A Description of Paradise (Jannah) by Ibn al-Qayyim. The Islamic Naming System (by Dr Abu Ameenah Bilal Philips). Free Download of Glorious Qur'an. This version of game has 363 essential Questions and Answers. Our aim is once you have mastered all the topic, it will help you to increase in knowledge and better understanding of Islam... Play and Enjoy! Blessings of the Month of Ramadhan (10 articles). By Sheikh Faisal. The Holy Prophet (peace be upon him) said: "He who tells a lie on me intentionally, let him take his seat in the Hellfire" (Bukhari Volume 1, No 107). Whenever a person quotes a fabricated hadith knowingly, he or she is guilty of lying on the Holy Prophet Muhammad (peace be upon him). Fabricated ahadith stunt the spiritual growth of the Muslim Ummah. This book is a compilation and refutation of one hundred of the most famous and lethal fabricated ahadith in the Muslim world today. 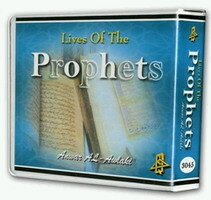 Find out about 'The Lives of the Prophets'. Muhammad The Last Prophet Cartoon DVD is an animated production of the early days of Islam. This cartoon film aims to introduce Islam and the last and final Prophet Muhhamad (PBUH) to children and adults alike. 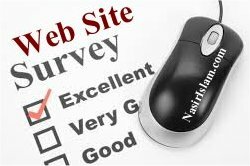 There is a choice of screen language of English and Arabic. Subtitles are similarly available in Arabic and English. The prophet is not personified in any way or form. Muhammad the last prophet cartoon is the story of Islam and is a must see for all faiths. This DVD would make a great gift. The Day of Judgement (Al Qiyamah), a day where the complete destruction of Earth and the Universe will take place. A day of destruction and terror that has never been witnessed by any eye before.This event will mark the final day of life on Earth, it will also be the start of a new eternal life in the Hereafter.